Q. Where can I find tests and measurements? NOTE: USC has many resources for identifying testing and measurement tools. Most tests are copyrighted and can only be purchased from the publisher. 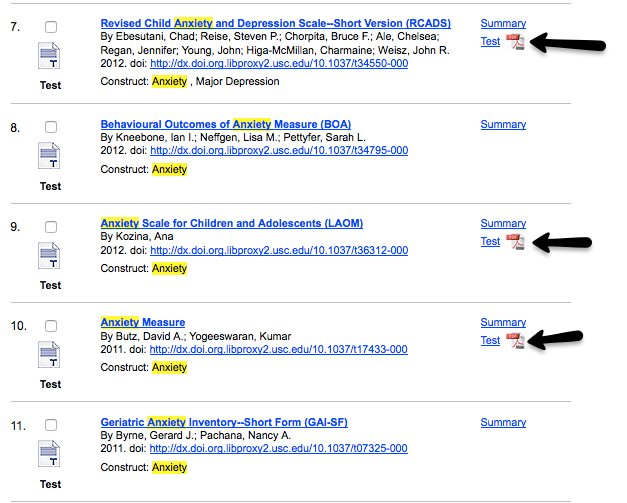 Sometimes you can view a test because it has been published in a journal article or dissertation.